Red is one of hundreds of people who were shanghaied out of Portland in the late 1800s. Drugged, kidnapped, and sold to a ship's captain for $50, she wakes up on a boat headed out to sea for years, unable to escape or reveal who she is. Now, she's coming back in a blood-soaked boat to find her family and track down the men responsible for stealing her life out from under her. 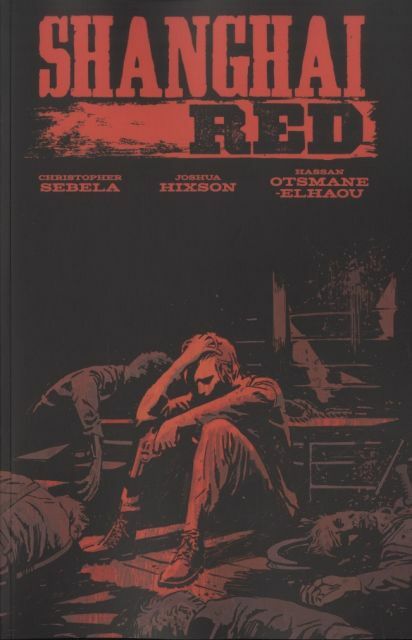 Eisner-nominated writer CHRISTOPHER SEBELA (High Crimes, Heartthrob, CROWDED), JOSHUA HIXSON (The Black Woods), and HASSAN OTSMANE-ELHAOU (Felix & Macabber) bring you a tale of revenge, family, and identity that stretches from the deck of a ship outside Shanghai all the way to the bleak streets of-and secret tunnels beneath-Portland, Oregon.